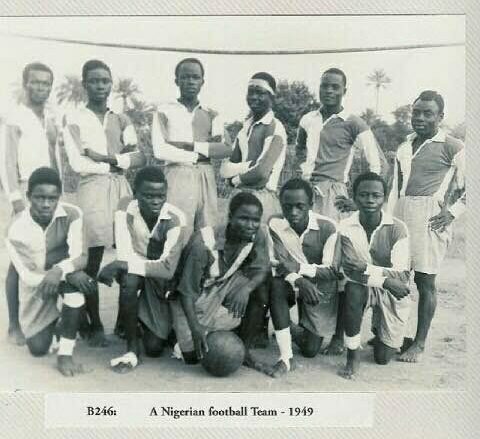 Nigerian Football Team in England 1949. Nigerian football team was the first ever to leave West Africa. They arrived in the UK on the 29th of August 1949 and played nine matches in five weeks against top English amateur teams. This picture is of a training session with their coach 'the famous Fulham football star' John (Jack) Finch.